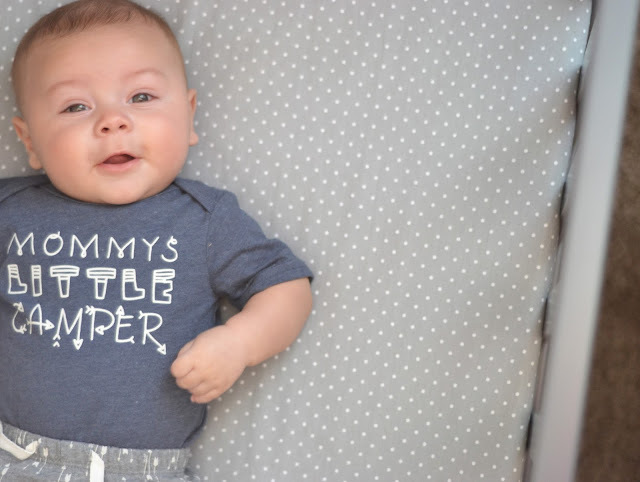 When we moved into our house, I was 35 weeks pregnant. 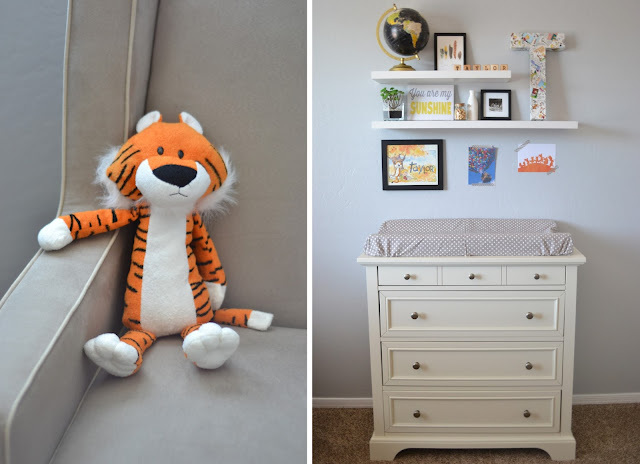 The house was in desperate need of maintenance and the nursery was my first priority, as you may have guessed if you saw the "before" shots of the room I shared last week. 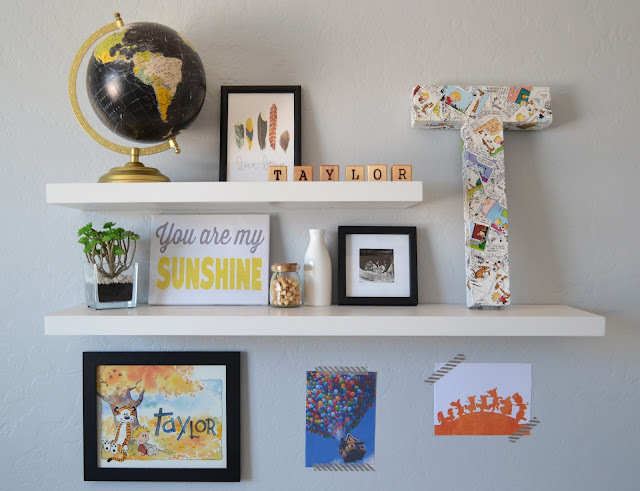 I may have overestimated my abilities to tackle projects (figuratively, not literally) being so largely pregnant because the nursery wasn't totally finished until Taylor had been here for a few weeks. 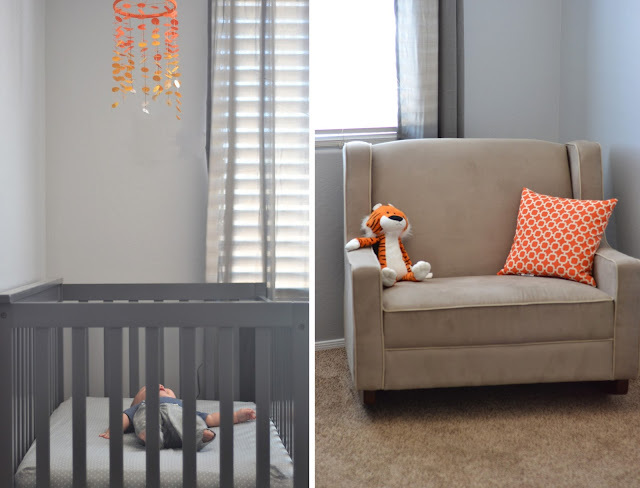 So it sure makes my heart happy to see these pictures of the nursery completed. 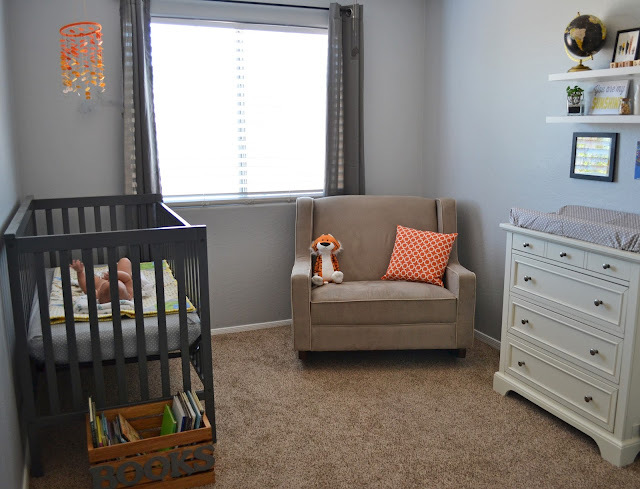 When I first starting planning, I knew I couldn't afford everything I wanted if I were to have my dream nursery, which I was fine with. 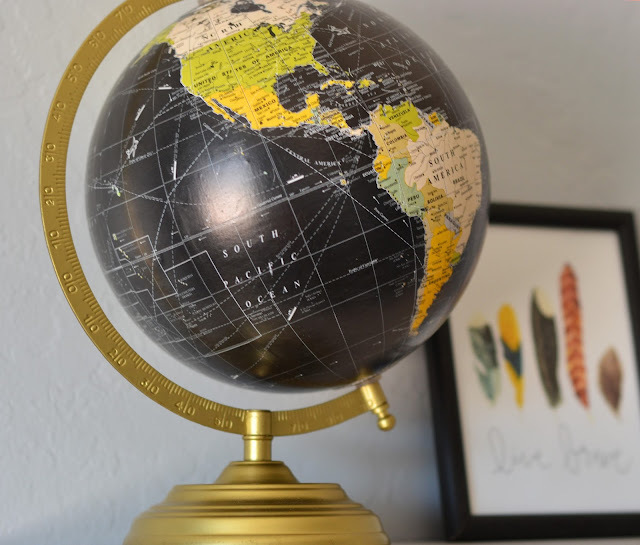 I enjoyed finding good deals, diy-ing what I could, and then investing in a few pieces (with gift cards we had left over from our wedding). My advice, if you're in the process of starting a nursery, or will be in the near future, would be to plan as far in advance as possible. 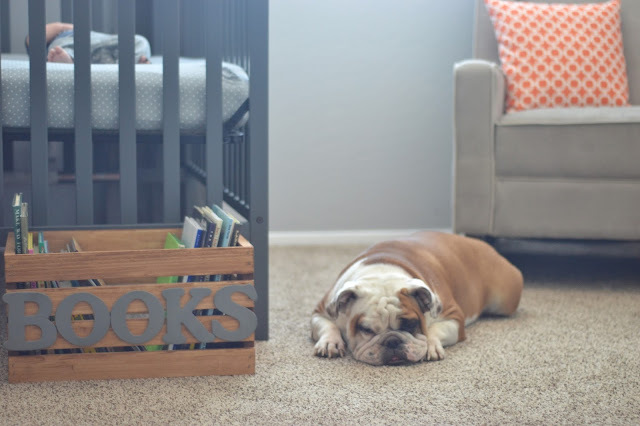 Then, find the furniture pieces you want and the other items that will make your nursery special as soon as possible; that way you have time to wait to see if it goes on sale or to hunt down a coupon. You might even be able to find a cheaper price somewhere else (or find something similar for a better price). Plus, the more time you give yourself, the less stress you'll be. We want happy mamas.